This week’s edition of Foodie Friends Friday is Going Green. Thank you to everyone for making last week’s Foodie Friends Friday party a huge success. 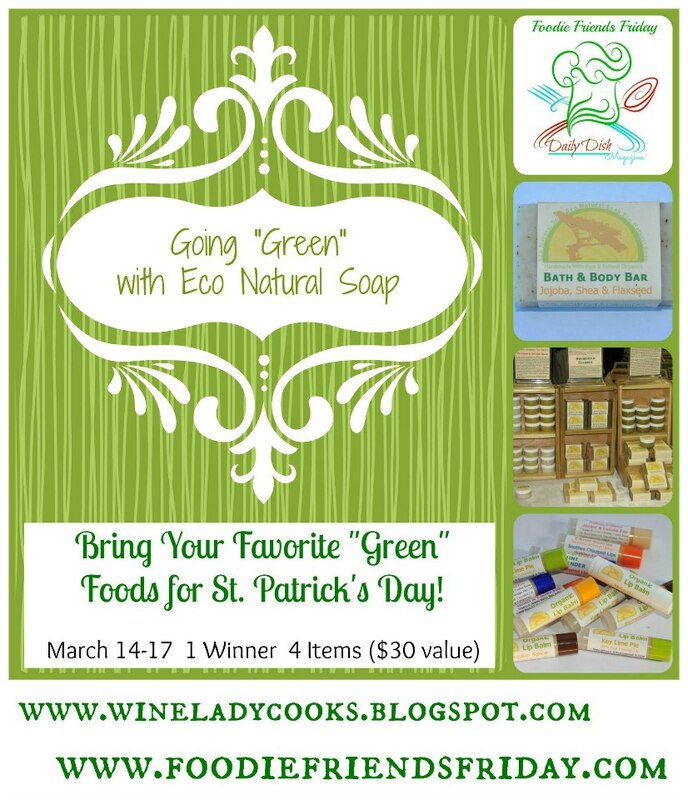 Foodie Friends Friday is Going Green this week with the help of our sponsor EcoNatural Soap. EcoNatural Soap is a family owned business located in Tennessee. This family is very committed to reducing their carbon footprint, living chemical-free and eating healthy, home grown or locally sourced food. EcoNatural Soap has more than 150 different products and they are continually growing and adding products. The entire product line is formulated with only 100% pure, natural, organic ingredients. They strive to procure 100% recycled packing and packaging products as possible and reuse and recycle packaging as much as possible. You can visit their website at EcoFriendly Homemaking and like EcoNatural Soap on Facebook.